Deepak Kumar is a postdoctoral researcher at the University of Illinois. His research is focused on the process optimization and sustainability analysis of production of biofuel and biomaterials using combined experimental and modeling approaches. 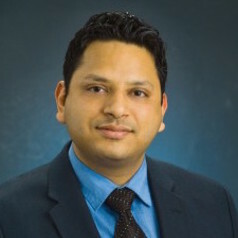 Kumar received his bachelor’s degree in agricultural engineering from the Punjab Agricultural University at Ludhiana, India, and his master’s degree in agricultural engineering from the Indian Institute of Technology in Kharagpur, India. He went on to earn his doctorate in biological and ecological engineering from Oregon State University. He has received several awards, including the Bioenergy Society of Singapore (BESS) Achievement Award 2016. Along with PETROSS, Kumar is a member of two other ARPA­E funded projects: Transportation Energy Resources from Renewable Agriculture - Mobile Energy-Crop Phenotyping Platform (TERRA-MEPP) and Water Efficient Sorghum Technologies (WEST).